ARGENTINA: Demand to participate in the country's new tender for renewables energy has surpassed all expectations with developers presenting six-times the capacity required. Undersecretary of renewable energy Sebastian Kind said the government had received a total of 123 offers to build 6,636MW of new installed capacity, though only 1,000MW is available. "We had spoken of 2,000MW or 3,000MW but this is far more," said energy and mines minister Juan Aranguren. 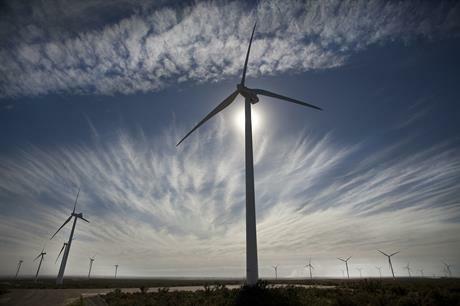 The bids included 49 offers for wind energy, with a combined capacity of 3,468MW, compared to the government target of just 600MW, although the tender rules allows the government to accept more offers if thought convenient. The technical offers will be assessed before the economic offers are opened on 7 October with the contracts awarded five days later. The auction is the first of several that the ministry plans to hold, to increase the participation of renewable energy in Argentina's electricity supplies from the current figure of 1.8% to 20% by 2025. The first round is expected to increase this figure to 4.5% from 2018, trigger investments of $1.5-2 billion, and create 5,000-8,000 jobs.